Jacquie took notes from the meeting. Ann discussed the financial transactions of the last month. Evie presented the revised figures from the Barn Dance. 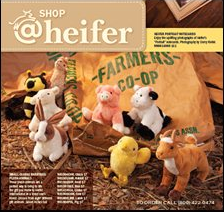 Interface with Teacher Resource Center: Evie reported for Linda DY that Heifer kits were ordered for the center. Some of our volunteers will help staff the center and more help is needed. Contact Linda DY, if you can help. Our volunteers will follow up with teachers receiving kits, to see if they have questions about their use. Donation bins for supplies for the center are located at stores such as Staples and Whole Foods. Our main topic for discussion was planning for future activities and events. 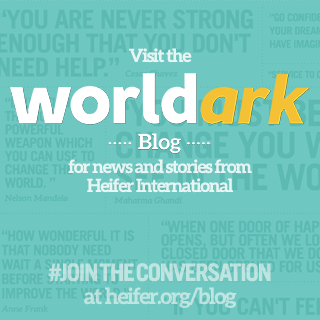 Evie asked Jill what Heifer's priorities for us for the next year might be. Jill suggested that target groups would be schools, congregations, and civic groups with interests like Heifer. Target activities would include outreach to target groups, speaking to them where possible and possibly planning joint activities. Jill said that it would be important to have extended planning timelines for events and to focus on a 4:1 ratio of event income to costs. Jill's budget is limited in its ability to assist us with activities and events. Jill indicated that our gathering of data regarding volunteer hours should emphasize contacts made with target groups. Evie and Jill discussed the idea of developing local mailing lists for events, with Heifer's help. Additionally Jill expressed interest in visiting our area in the fall and speaking with our group and possibly others about her recent trip to Kenya. We have worked with several churches in connection with alternative gift fairs. Betty will be contacting local Kiwanis groups. It was suggested we poll our membership to see what contacts we already have with other targeted groups. LDY- Connect to as many program organizations as possible- help them to have as many gift fairs, etc. Can Heifer interface with St. Helena Co-op? 0 Response to "Napa Heifer Meeting July 14, 2012"